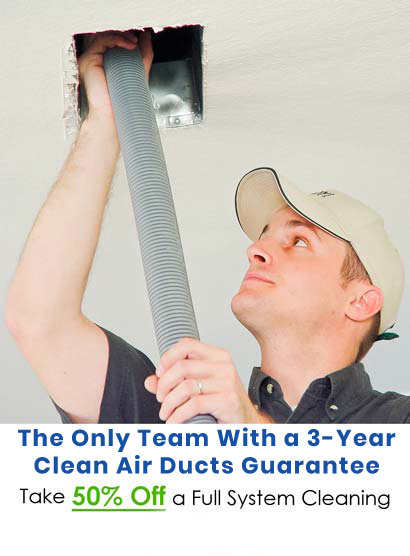 Most homeowners don’t know that they need routine air duct cleanings. When was the last time you had maintenance done on the air ducts and indoor air quality checked in your Dallas home? If you can’t remember, chances are good that they’re filled with dust, lint, mildew or even mold that makes your air conditioning undesirable. KIWI has been in business in Dallas and the Dallas/Fort Worth area for over 33 years and have provided air duct cleaning services more than any other company in the DFW area. Accumulation of dirt and debris.Air ducts can collect dust, dirt, moisture and things most of us would rather not see. Hair, bacteria and other matter can gather in ducts and turn pink fiberglass filters into blackened, filthy traps for undesirables. Even pet dander can get caught up in your system, and once that happens, it gets redistributed throughout your home. Build-up of allergens and bacteria. Allergens and bacteria thrive in moist, dirty environments, so air ducts are the perfect breeding ground. These contaminants are blown directly into your home and sink to the floor, where they hide along baseboards and in your flooring. Children, the elderly, and people with allergies are particularly susceptible to their dangers. Even pets can suffer when air ducts haven’t been properly cleaned. Development of mold and mildew.Ducts that are exposed to moisture, such as most in the Dallas area, can grow dangerous mold and mildew; that build-up can subject you and your family to airborne toxins if it’s not treated properly. Accumulation of animal matter and debris caused by animal destruction.When animals get into your air ducts, they can store food, defecate and even die inside. Vermin are also known for tearing holes in ducts, which can let in outside contaminants that filter down into your home. Improper functioning of air-handling components.When air doesn’t circulate along its intended path, bacteria, mold and mildew can fester. These potentially dangerous contaminants can affect the air quality within your home and prevent you from breathing the fresh, clean air you need. Sneeze. Cough. Wheeze. That’s what the home of an allergy sufferer sounds like around the clock. In Dallas, where allergens are prevalent nearly all year, it’s usually advisable to have routine air duct cleanings. People who have lung conditions and breathing difficulties, including asthma, can benefit from frequent cleanings because they help to prevent the spread of contaminants. That’s why we highly recommend cleaning ducts and HVAC system with the best professional air duct cleaning company, KIWI, over the other cleaning companies. The KIWI air duct cleaning process is intensive. It includes a complete professional cleaning of the air handling components of the system by our duct cleaners, an application of antimicrobial treatment, and filter installation. However, not every home needs a full-system cleaning. Some homes simply need individual ducts vacuumed and cleaned out, an application of antimicrobial treatment and an overall brushing-up. We also offer dryer vent cleaning that can mitigate the risk of fire and help your machine perform more efficiently. Our services will help remove allergens, odors, mold and mildew from your Dallas-area home. When your air ducts are cleaned, you’ll even enjoy lower energy bills and save money on future repairs. It makes sense to get your air ducts cleaned periodically, but only if you hire Dallas’ best. We back our full-system air duct cleaning with a two-year antimicrobial guarantee, which protects you from the regrowth of mold and mildew for a full 24 months. Our intensive air duct cleaning treatments lift dirt and debris from the nooks and crannies of your system. We’ll clean all of the air handling components in your system and then wash all of your vent covers by hand. We’ll vacuum out all of the undesirables nesting in your air duct system, and then we’ll apply our people-friendly, pet-friendly antimicrobial solution. Our experts will clean all of the vent areas, as well as your filter, and we’ll replace everything when we’re done. Call us and our Dallas air duct cleaning team will be happy to schedule an appointment at your earliest convenience. We also offer the best in carpet cleaning and restoration services.